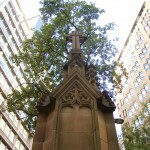 This four-sided sandstone tower is topped by gothic-influenced spire and a Celtic style cross. 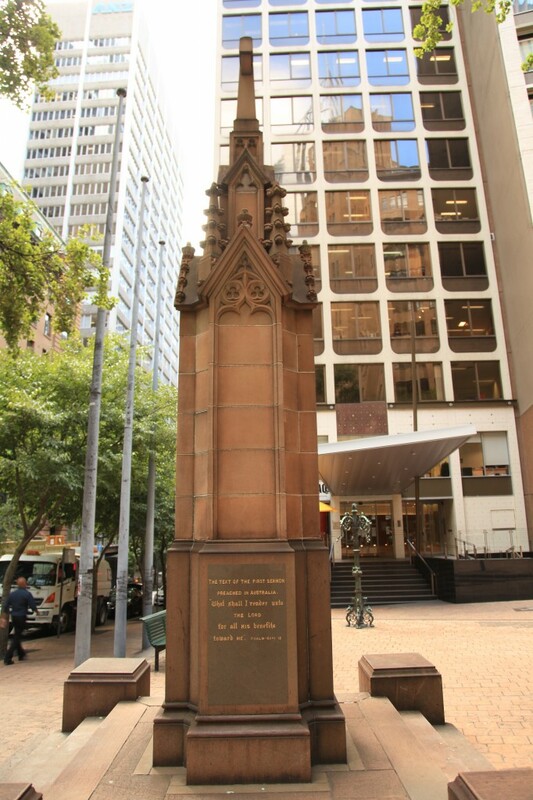 Each side has a polished pink granite tablet with a gilt inscription. 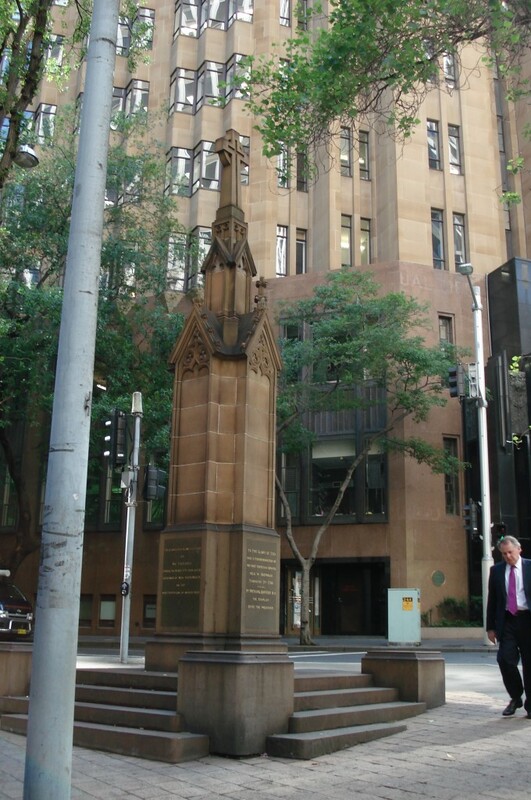 It was installed at the intersection of Hunter, Bligh and Castlereagh Streets in 1925 in memory of Richard Jonson. 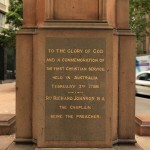 Richard Johnson was appointed ‘Chaplain to the Settlement’ of New South Wales in 1786 and sailed with the First Fleet. 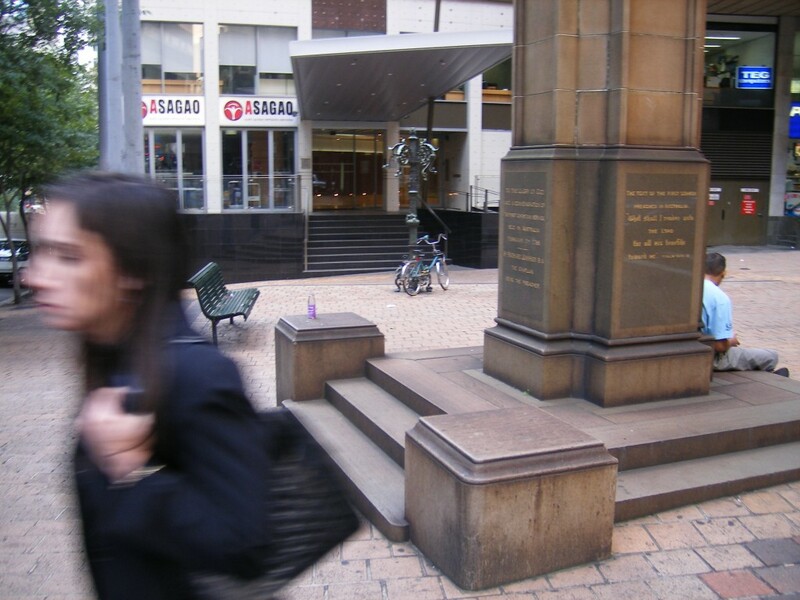 With the support of the Society for Promoting Christian Knowledge, which had donated more than 4,000 books, Johnson established the first lending library in Australia. 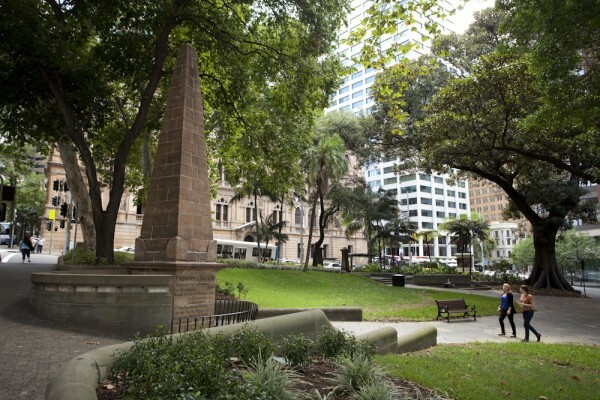 He spent 12 years in the colony of New South Wales before retiring to England. These years, particularly under Governor Grose, were fairly unhappy ones for him. 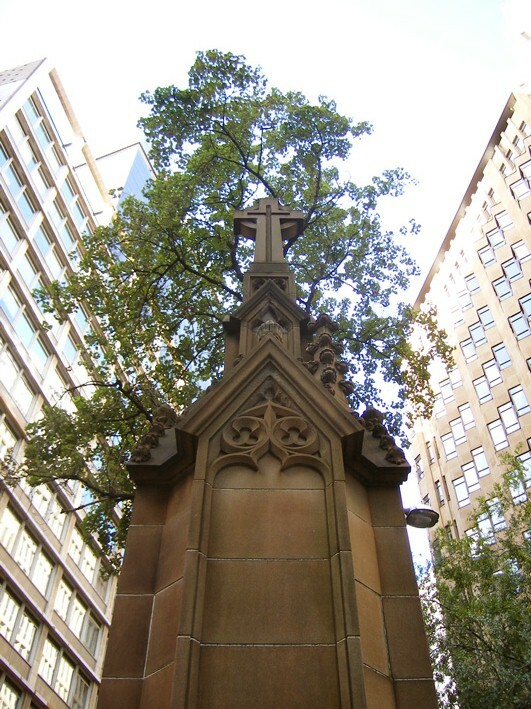 Historians of the time and the Anglican Church have endorsed Johnson’s legacy of holding the ‘first Christian Service’ in Australia. 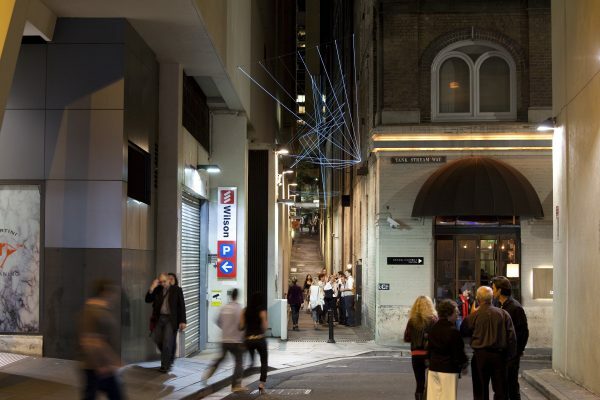 The tower was built by the architectural firm of Burcham Clamp and Finch, architects and surveyors for this project. The principals of this company were Burcham Clamp and Clifford H. Finch. 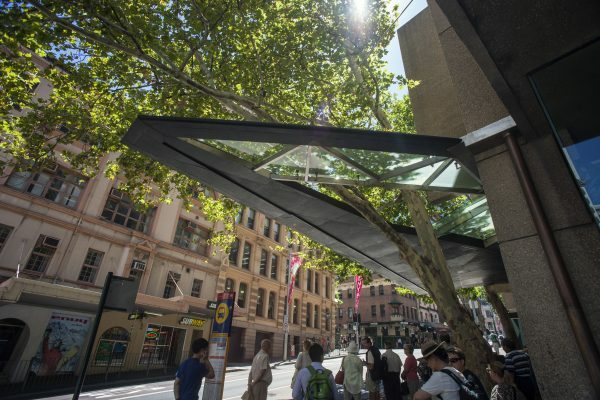 During 1923, the Sydney City Council was making arrangements to erect an edifice at the intersection of Bligh and Hunter Streets. 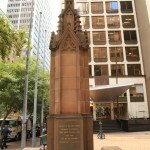 Representations from the Royal Australian Historical Society’s special committee, the First Christian Service Memorial Committee, were made concerning a monument to Johnson and the Committee was subsequently granted permission to take over the project. They had privately raised 300 pounds for the purpose and asked members and friends for another 300 pounds. 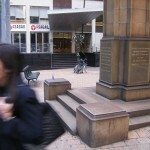 The Council approved the design and construction of the memorial on 30 August 1924 but there is uncertainty as to the date of the laying of the foundation stone. 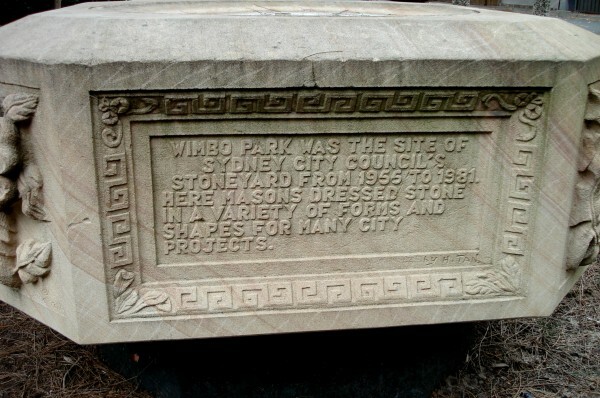 One commentator indicates that the foundation stone was laid on 13 March 1926, but the monument itself has a date of 19 March 1925. 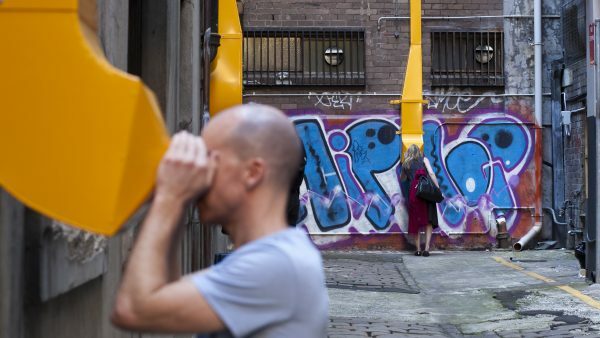 Other Council correspondence appears to confirm the 19 March date as being correct. 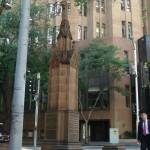 Work on the memorial was completed in May 1925. On this face, there is also a relief etching of the church in the granite. 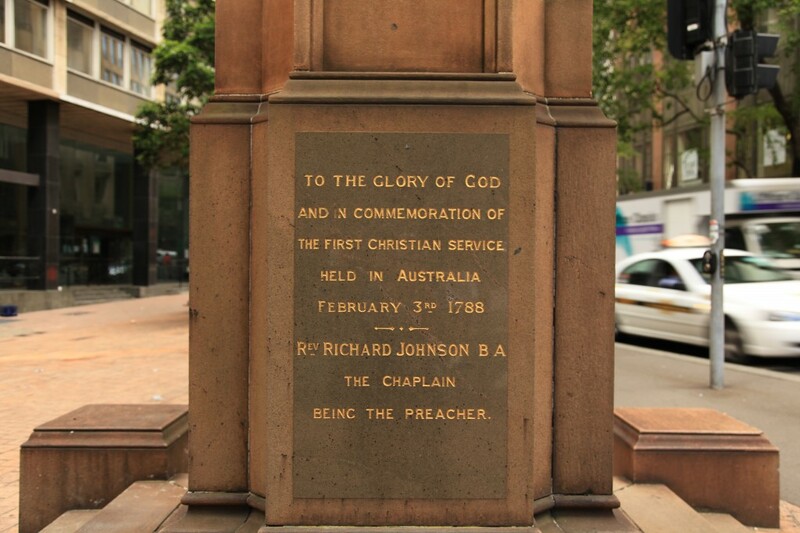 An inscription on the southern face: To the glory of God / and in commemoration of / the first Christian service / held in Australia / February 3rd 1788 / Rev Richard Johnson B A / the Chaplain / being the preacher.